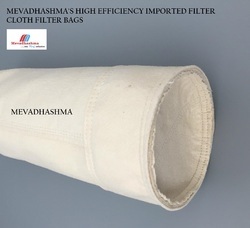 Mevadhashma offering you a complete choice of products which include Non Woven Filter Bags such as PTFE Filter Media, Aramid Filter Media, Polyamide Filter Media, PPS Filter Bags, High Temperature Filtration, Polyester Filter Media and many more items. Supported by a team of experienced professionals, we are offering an extensive array of Air Filter Bags. The offered air filter bag is manufactured from the high-grade factor input as per with the industry norms. We offer this air filter bag in a number of specifications so as to meet the demand of customers. Our quality controller inspects this air filter bag on different parameters in order to make certain its performance. In tune with clients' variegated industrial requirements, we are exclusively engaged in manufacturing, exporting and supplying Filter Bags that are used for the collection of dust. The offered filter bag is manufactured by using top grade raw material and the highly advanced technology. 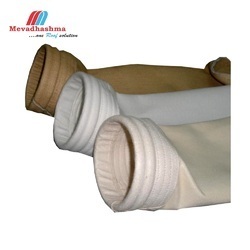 As well, our clients can avail this filter bag from us in different medias like polyester, nomex, polypropylene, rayon, Teflon, p-84 polyamide, glass fiber & homo-polymer, co-polymer.